Thank you for considering volunteering with International Oasis in 2018-2019! Whether you were able to attend our fall volunteer orientation or not, please fill out the form to establish your interest in serving students in 2018-2019. 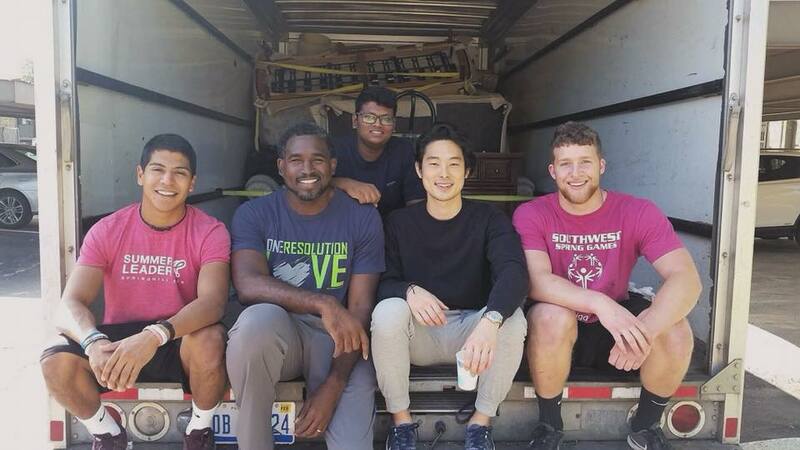 We are so grateful for our volunteers, and could not do this important work of inspiring and equipping international students to meet the needs of the global poor without you! Please enter your birthdate in MM/DD/YYYY format or choose from the calendar. Please select YES if you have never filled out a volunteer application with us before. Other than English, what languages do you speak, if any? Yes, I have school age or young children. Yes, I have adult children. Yes, I have both adult and school age children. Please list your children's names, genders, and ages. You don't have to answer this question; we only ask in order to better match you with the right student. Think about being at an event - are there allergies we should know about? I certify that the above information is true to the best of my knowledge. I give International Oasis, Inc. permission to contact my references about my qualifications. All times include training time. What events are you planning to attend? Fall Retreat September 21-23, Fri. to Sun. How do you desire to serve at events? Please describe your general availability to take students to look at furniture. Click the + icon to add another day / time. What languages are you able to speak? For volunteers who checked conversation partners, discussion groups, and CAIR. Please describe your general availability to connect with students. Please check your preferences regarding students you would be comfortable connecting with. Check as many items as you like. If you have a preference regarding the student's country of origin, please list it here. Would you like to be added to an email list to alert you when we will be doing service projects with students? Do you have an idea for a student service project, or would you be willing to lead a student service project? If yes, please detail your project idea here. Please add any comments about how you intend to help this year. Would you like to make an online donation to support the work that we do? All transactions and sensitive data are processed through Stripe. Your credit card information is not stored on our servers.